This story is a part two of WWL-TV Eyewitness News' investigative series into mother mortality in Louisiana and across the United States. Click here to read part one. NEW ORLEANS - In 2017, Cheryl Lewis and her family were getting ready to welcome a new member of the family. 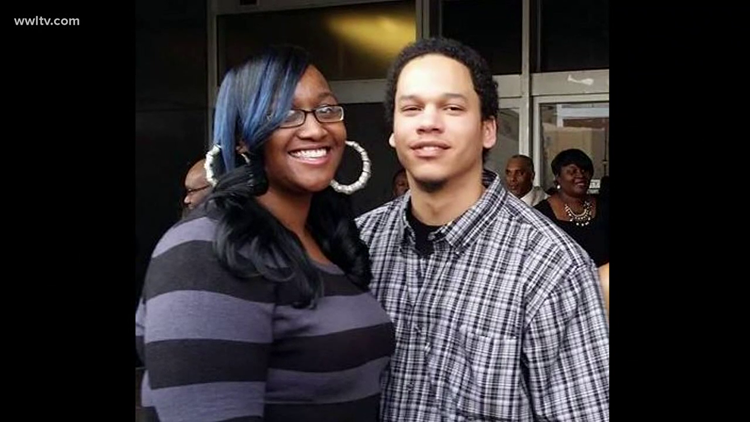 Her brother, Larry Lewis, and his girlfriend, Marquetta Leach, were expecting a baby girl. But six months in, the family's excitement was overshadowed with concern. "She wasn't feeling well. She wasn't feeling like herself," Cheryl said. Marquetta had gained more weight than with her two previous pregnancies and she was even more tired. Three weeks before her due date, she was having pains and went to the hospital in Pineville, Louisiana where they lived. The doctor gave her some medicine and sent her home. ►RELATED: Doctor's brushed off her concerns. Months later, a New Orleans mom lost her daughter and nearly her life. "When she came home, she was still feeling bad. She was having trouble breathing. She couldn't keep anything down, couldn't drink water, couldn't sleep and she had fluid retention," Cheryl said. Despite her health issues, Marquetta gave birth to her third daughter in April. But a few days later she was feeling even worse. "One night, my brother said it was so bad. She said she couldn't breathe. She thought she was going to die that night," Cheryl said. Cheryl says that Marquetta was 28 years old and had no known health issues. Marquetta was always on top of her prenatal appointments, keeping detailed notes so that she didn't miss anything. But after having her baby, Marquetta's symptoms quickly went from alarming to deadly. "She couldn't even change the babies diaper without getting out of breath at this point. She passed away 63 days after giving birth and half of that time she was in and out of the hospital," says Lewis. Marquetta Leach passed away on May 6, 2017. One of the causes of death was postpartum cardiomyopathy, which is essentially heart failure that happens during or after pregnancy. 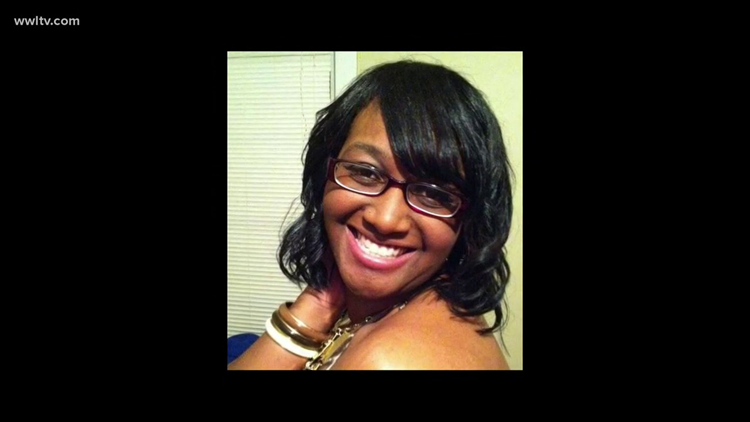 Marquetta was one of the nearly 700 women in the United States who the Center for Disease Control says die from pregnancy-related causes each year. And a new report shows women like Marquetta face a higher risk of dying than others. Dr. Rebekah Gee is the Secretary of the Louisiana Department of Health and she points out the shocking racial disparity when it comes to maternal deaths. "What is really important in this report is that it found that black women die at four times the rate of white women and that often those causes are preventable," Dr. Gee said. In Louisiana, for every 100,000, five white women die while 22 black women die. "Louisiana has poor health outcomes compared to the rest of the nation. By and large, those are due to poverty, 40% live 200% below poverty," Dr. Gee said. The poor have less access to resources, which often leads to unhealthy lifestyles- putting black women at a greater risk. But poverty does not fully account for the massive disparity in maternal deaths between white and black women. Dr. Gee says race is a contributing factor to poorer outcomes in pregnancy across all income levels. Earlier this year, tennis star Serena Williams wrote an op-ed revealing that she almost died giving birth to her daughter, Olympia. Williams had to have an emergency C-section because of a blood clot in her lungs. William's experience suffering from pregnancy complications highlights an important and shocking aspect of the research on maternal mortality. Studies find that black women with better socio-economic situations than white women are still up to four times more likely to die, even if like Serena Williams, they have access to the best medical care available. "Racial bias does impact how people see certain patients," Dr. Gee said. She adds black women are not always taken seriously when they voice concerns. "So you have certain patients, you think, 'Oh they are complaining, but it is not that bad." Marquetta Leach was one of those patients who felt ignored. "They didn't hear her cries. The whole time she was complaining about not being able to breathe. We didn't find out she had all of these issues until it was to late," Cheryl said. "We have to acknowledge that people have bias and that's an issue in every aspect of our lives," Dr. Gee says. "And doctors are people and doctors have bias and we have to address it." Dr. Gee adds that a phenomenon called weathering may be another factor in why black women have worse outcomes during pregnancy. "The impact of racism on your stress levels causes a rise in stress hormone. And we know that stress hormone is related to chronic disease and inflammation. It's like running an engine on overdrive. Over and over again every day, day after day," says Gee. Black women are disproportionately dying from pregnancy-related deaths, but Dr. Gee says that hospitals need to be better prepared to tackle the medical issues that are killing mothers of all races. A national USA Today investigation called the United States "the most dangerous place" to give birth in the developed world. The Global Burden of Disease Study in 2015 reported that there are 26 mothers who die for every 100,000 births in the United States. That can be compared to 9 mothers in the United Kingdom, 7 in Canada and 4 in Italy, Sweden and Denmark. Many maternal deaths are tied to hemorrhaging, preeclampsia, and cardiovascular conditions. and studies clearly point out that it's the hospitals that need to step up. ► Deadly Deliveries: Hospitals know how to protect mothers. They're just aren't doing it. "Provider- and facility-level factors were the most commonly identified contributing factors to pregnancy-related maternal death." It also states that 45 percent of pregnancy related deaths were preventable. It is already too late for Marquetta's three daughters. "She was fighting to stay here for her kids. Her kids were her world." Dr. Gee says that more must be done so that fewer families suffer and more healthy mothers go home with healthy babies.